Full Name: Jose Manuel Inchausti Pérez. Date and place of birth: September 22, 1964 in Madrid. Law Degree (Universidad Complutense de Madrid). 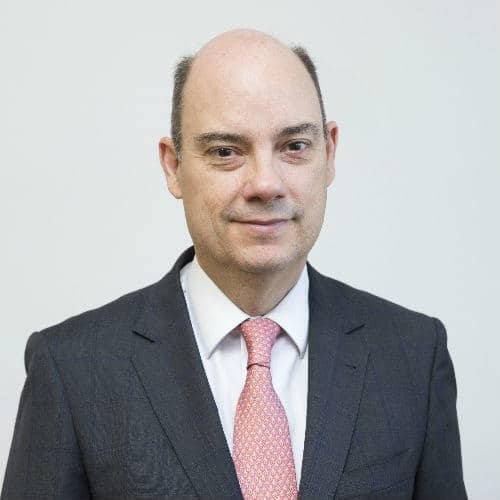 Vice Chairman and Board Member of MAPFRE (since July 2018). CEO of the IBERIA Territorial Area (since December 2015). CEO of the IBERIA Regional Area (since January 2015). First Vice Chairman-Managing Director of MAPFRE ESPAÑA (since January 2016). Chairman of the Automobile Insurance Committee of UNESPA (since 2015). Vice Chairman of UNESPA (since September 2016). Chairman of the Automobile Insurance Committee of UNESPA (2015-2016). General Manager of the Business Support Area (from January 2014 to December 2014). General Manager of Technology and Procedures (2007-2013). Regional General Manager, Catalonia (2005-2006). Manager of Sub-Headquarters Catalonia 1 (2002-2004). Chairman of MAPFRE COLOMBIA (2000-2002). General Manager of MAPFRE SEGUROS GENERALES COLOMBIA (1999-2000). Operations Manager of VERA CRUZ VIDA E PREVIDENCIA BRASIL (1996-1999).